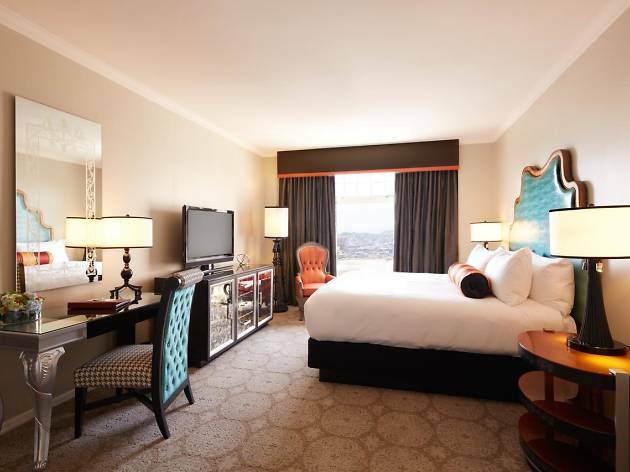 Like many of San Francisco’s finest hotels, the swanky Scarlet Huntington sits atop Nob Hill and boasts great views of the bay, the city and Grace Cathedral. 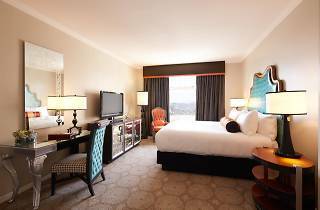 It also has one of the best hotel spas in the city, the Nob Hill Spa, a three-level sanctuary with an indoor pool and whirlpool, skyline views, saunas, steam rooms, fireplace lounge, gym and delicious food and wine. The spacious rooms have a colorful Asian-Moroccan theme and sizeable bathrooms. Guests should be sure to visit The Big 4 Restaurant, named after the businessmen and philanthropists who built the Central Pacific Railway, where you can enjoy a classic cocktail made by veteran bartenders while listening to live piano music.